For patients suffering from metastatic lung or metastatic breast cancer, the prospects for successful treatment are limited and even the best outcomes may result in a diminished quality of life. 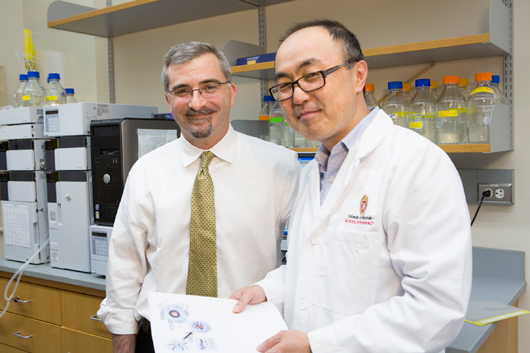 Driven by the knowledge that their unique combination of skills may save lives, pharmaceutical researcher Glen Kwon and radiation oncologist Dr. Kevin Kozak hope to make a difference. The two University of Wisconsin–Madison faculty members are developing a new drug combination and delivery method that promises to attack hard-to-treat solid tumors.